While home in PA for Easter I told my mom I had a craving for a hoagie. 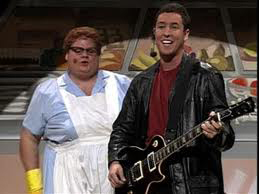 When I say hoagie this may come to mind... Adam Sandler and the Lunch Lady singing "Hoagies and grinders, hoagies and grinders. Navy beans, navy beans, navy beans. Meatloaf sandwich!" I feel a hoagie is different from a sub, although online sources suggest that it's just a regional terminology difference. It seems that "subs" came first... as an Italian sandwich. Then the term "hoagie" came from the Philadelphia region where sandwiches from Hog Island aka Hoggies aka Hoagies... were introduced. 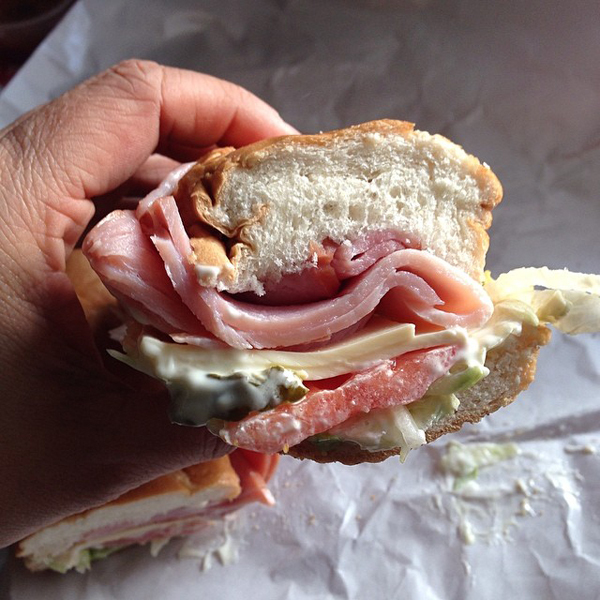 I really have no proof that a hoagie is not the same as a sub... or a grinder or a hero for that matter. The biggest difference is that the hoagies I grew up with had soft rolls instead of the hard crust rolls on subs that I've experienced in Rochester. I still stand by my hoagie/sub distinction statement.